Nutritional Information per 100g: Energy 2465kJ/589kcal; Protein 6.5g; Carbohydrates (of which sugars 43.8g); Fat 40.1g (of which saturates 13.9g); Fibre 4.9g; Salt 0g. Cane sugar*, Hazelnut paste, Cocoa Paste*, Cocoa butter. Contains Nuts. May contain traces of dairy products. 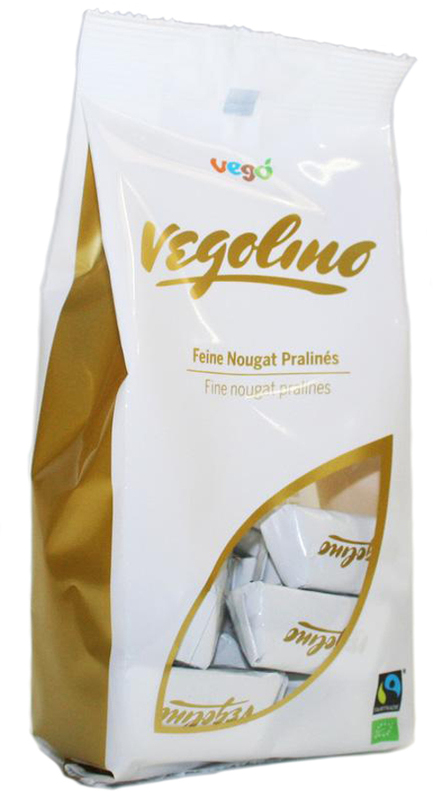 The Vegolino Vegan Pralines - 180g product ethics are indicated below. To learn more about these product ethics and to see related products, follow the links below. A delicious treat! Perfect to impress non-vegan friends as they would not be able to tell the difference between these and diary milk cholcolate. These are much nicer too! My teenage son seems incapable of living without these - he has even given up most other chocolate in favour of them. Q: How many chocolates are in each bag? Vego is a German company that produces the most delicious vegan chocolate bar. Vego is made with the finest Italian hazelnut paste, hazelnut cocoa cream and whole hazelnuts uniquely blended into a delicious bar available in 150g or 65g. 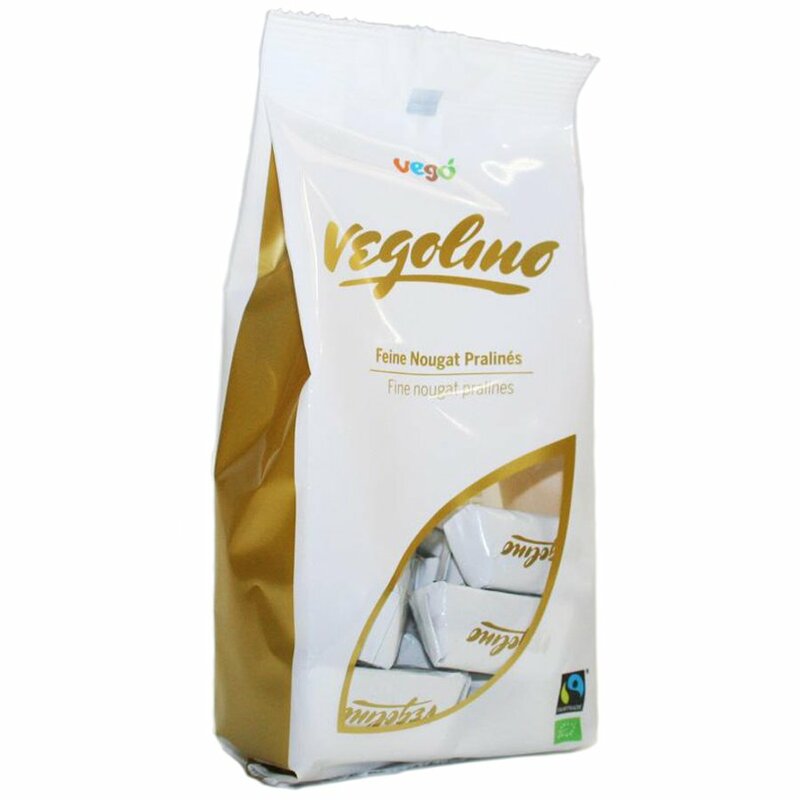 Vego vegan chocolate is Fairtrade Labelled, organic and gluten-free.